In 1874 a group of young artists from Paris, composed of Camille Pissarro, Edgar Degas and Claude Monet mounted an exhibit of their works at the studio of Felix Nadar, a journalist/photographer. They were joined by other artists such as Berthe Morisot, Alfred Sisley, Auguste Renoir and Paul Cezanne. Between 1874 and 1886 the group, joined by other artists had a total of eight exhibits. Their style was a rebellion against the artistic standards established by the Academie des Beaux-Arts, which was a proponent of realistic styles during that period. The annual Salon de Paris art exhibit mounted by the Academie only featured juried works that conformed to its strict standards, thus struggling artists were always trying to break into this exclusive group for it meant doors getting opened for them for commissioned work and exposure to art patrons. During the first exhibit of the group they had many critical reviews. Monet and Cezanne received the harshest criticism from Louis Leroy, a reviewer-humorist. 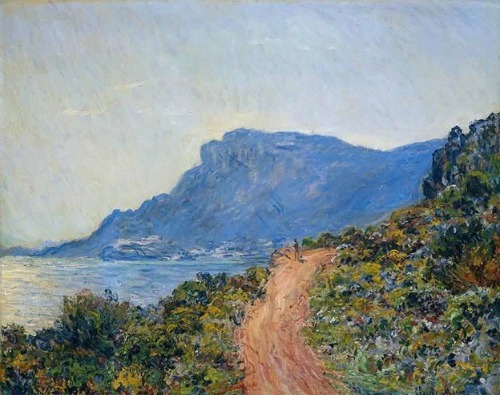 His critique, which came out in the Le Charivari newspaper, derisively pointed out that the works of the two artists (Monet and Cezanne) looked like unfinished sketches, mentioning the word impressionist from the painting called ‘Impression, Soleil Levant’ (Impression, Sunrise) painted by Monet. He compared it to a wallpaper that was in its first stage of preparation. But that word stuck, and it got accepted by the public as well as the artists themselves, giving birth to the group being called the impressionist painters, which eventually led to it becoming the name for the movement – Impressionism. An impressionist painting is mainly characterized by comparatively thin, small but very visible brush strokes. The composition is open and emphasis is give on the exact description of the changing qualities of light, showing the effects of time changes). Movement is of extreme importance in the painting as it is the depiction of the experience and perception of a person. Visual angles that were unusual were also part of Impressionism. Viewed from a distance, you can feel and see the trees, flowers and grass move in the wind. That is one of the essences of an Impressionist painting. Famed artists that the world admires today, such as Bazille, Guillaumin, Cezanne, Pissarro, Monet, Sisley, and Renoir suffered several rejections from the Academie. They were the new generation of artists that wanted from freedom in their art. They used brighter colors and lighter brush strokes. They were focused on everyday life and landscapes, and their attention to details were reduced. Claude Monet, who was born on November 14, 1840 became known as the founder of the French Impressionist art movement. He was the most prolific and consistent practitioner of its philosophy of expressing an artist’s perception of nature, particularly when painting on location (plein-air landscape painting). He learned the technique from Eugène Boudin, an artist he met in Normandy when he was 16. Monet met and became friends with many artists while in Paris, such as Édouard Manet and later, when he came out of the army, also met Alfred Sisley, Frédéric Bazille, and Pierre-Auguste Renoir. They were painters that shared new art techniques, using rapid and broken brushstrokes laden with bright colors – techniques that became the core of impressionism. The first work that brought Monet recognition was La Femme à la Robe Verte (The Woman in the Green Dress) or Camille, which he painted in 1866. It was around 1872 or 1873 when he painted the Impression: soleil levant, which is now in the Musée Marmottan-Monet in Paris. It was the house in Giverny, wherein Monet planted a huge garden, which became his last home and where he created most of his latter paintings. This was where he created several “series paintings” that showed the same subject in different weather conditions and varying light at different times of the day. The first of his series was called Haystacks. 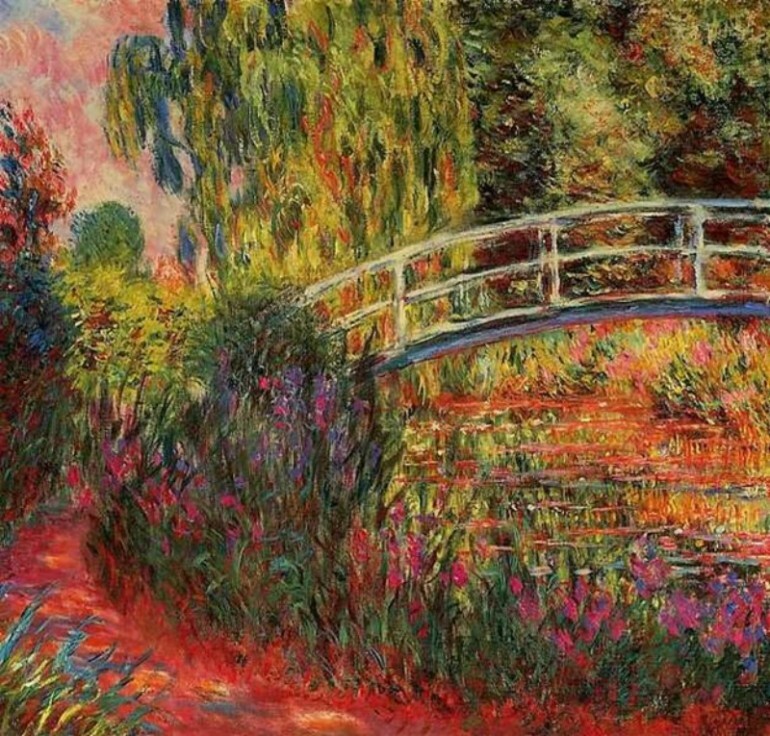 Other series paintings of Monet include the Water Lilies from his garden, Mornings on the Seine, Houses of Parliament, Poplars and Rouen Cathedral. In 2008, Christie’s sold his Le bassin aux nymphéas, which was from the water lilies series for a hammer price of $71,892,376.34. With fees included, the price went up to $80,451,178, which was a new auction record for one of his works.